Real GDP grew at a seasonally adjusted annual rate of 2.5% during the fourth quarter of 2017, according to the Bureau of Economic Analysis’s second estimate, down from 2.6% in the “advance” estimate. The general picture of economic growth remained the same. 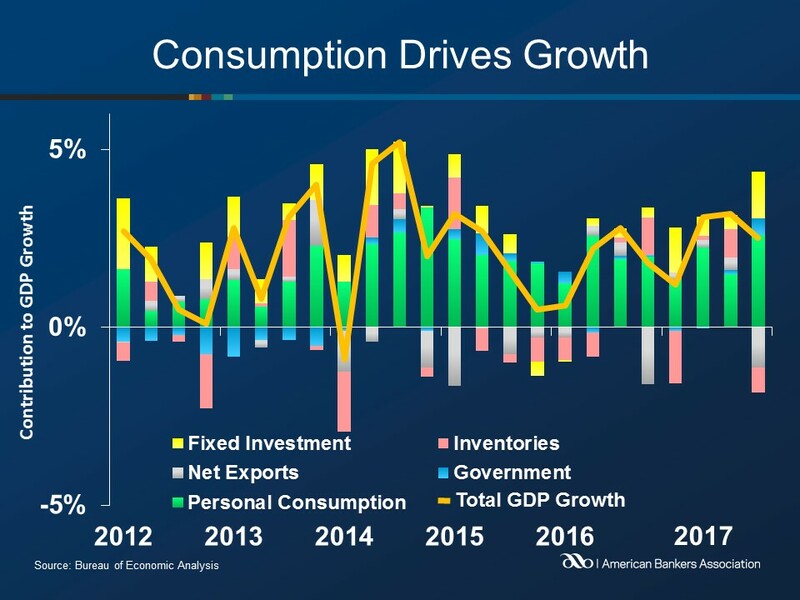 The percent change primarily reflected a downward revision to private inventory investment and non-residential fixed investment. 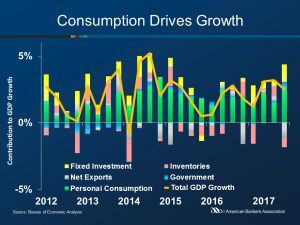 Personal consumption expenditures and exports were unchanged in the second estimate.